So you have taken the plunge and decided to opt for dental implants. However, you might be that one person in a hundred, or a thousand, or whatever the figure is, who does not have enough jawbone to support the implants. This leaves you with two choices: you can either forget the whole idea or you will need a bone graft. 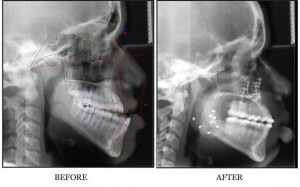 However, finding a bone grafting oral surgeon in SF is not so easy. Bone grafting is a specialist procedure involving taking bone from somewhere else and implanting it into the part of the jawbone where the implant is to be placed in order to build up the bone. The bone that is used can either be some of your own bone or it can be sourced from elsewhere. Your own bone is an excellent choice and it can come from your chin. If there is not enough bone available here it can be sourced from your hip bone or shin bone, but this will involve a trip to the hospital. Certainly, there are other alternatives if you don’t want to use your own bone. There is bone available that has been sourced from human cadavers or from cows. Your bone grafting oral surgeon in SF can also use synthetic materials. In addition, there is a protein known as BMP-2 which is found naturally in the body and can be used to stimulate bone growth in certain areas. Wherever the bone is sourced from, your bone grafting oral surgeon in SF will anchor it into position using small titanium screws. The bone will fuse naturally with your jawbone over a period of anywhere between four to nine months. A mixture of your bone marrow and other bone material may also be placed around the edges of the block of bone and a membrane may be placed over the bone graft. If you are missing several teeth you may need several bone grafts. Obviously, a lot more bone will be needed and this is usually taken from the hip or the shin. The procedure will normally require one or two nights in hospital. Bone from the hip does not increase the risk of a fractured hip at a later stage. Your oral surgeon will not be able to insert the dental implants until the graft has fused with your own bone, which is anywhere from four to nine months. Bone grafts are usually successful, although there are occasional failures for reasons which are unknown. This entry was posted in Blog and tagged bone graft, dental implants, San Francisco, San Francisco Bay Area, San Francisco oral surgeon on December 3, 2016 by Dr Alex Rabinovich.